Always wanted to learn how to code? You're interested in building apps or websites but don't know where to start? Or you think this will cost money? For that purpose there are many guides available online. There are many programming languages. The best know is PHP, which is used to build websites. But there are also many different languages used to write applications for an operating system that's running your smart-phone, tablet, laptop or desktop computer. Learning to write applications is less difficult than it seems. As with many things in life, it's starting to learn something new which is the hard part. Once you're on it, you'll be learning fast. So decide upon what the first thing you want to approach. Great for websites. Most websites are built with PHP, from Facebook to Moneyless.org. It's not the "cleanest" language though and it has some quirks. But if you mainly want to build websites this is your choice. Also note that highly prevalent platforms such as WordPress and Drupal are built in PHP, so if you want to quickly get started building your own website these would be a good choice. Ruby is beautiful. But not used a lot. There are a lot of platforms to find good resources to learn how to code. You can learn anything on Youtube these days. A query for Learn Python gives me 778,000 results today, number #1 was created by GoogleDevelopers. So definitely quality there. 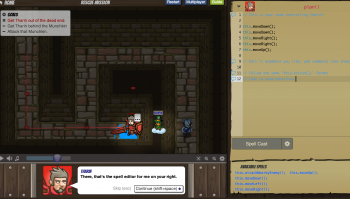 CodeCombat is a free software role playing game that will teach you programming while playing.